Plastic’s availability, cost-effectiveness and sterile nature make it a material of widespread importance within the medical industry. However, many plastic items such as IV drips, syringes and bandages must be disposed of after a single use due to the inability of the plastic to be adequately disinfected. This incurs a huge cost on society, both economically and environmentally. In addition, other suitable materials choices are sparse, with few offering the inherent number of advantages of plastic. Is the use of plastics in the medical industry unavoidable, or is there a way around it? According to the Kantian theory, one’s actions led by good intentions determines one’s moral worth. Therefore, it is morally right and acceptable to use and produce single-use plastics as they were developed with good intentions to benefit the public. Single use medical plastics provide vital benefit to the consumers and the society by preventing the spread of contagious, possibly deadly infectious diseases. Medical equipment such as syringes, drug tests, bandages, gloves (all of which are single-use) are a necessity to prevent contamination when doctors or nurses are dealing with their patient’s blood. Using glass or metal instead of plastic is often suggested, however, it causes challenges regarding the inability to decontaminate and transport, as well as its availability. Recycling of plastic materials from medical devices is not possible due to the risk of infection. For destruction of medical devices, incineration or disposal is preferred. As the sector comes under more scrutiny, the industry is seeking new ways to meet environmental requirements. This involves looking at the plastics being used. The most common plastic used is PVC it is used in packaging and medical devices such as hydrophilic urinary catheters. A study showed that using a polyolefin-based elastomer gives an overall better environmental performance than PVC and other existing plastics in terms of energy resources used in production and emissions such as CO2, NOx and SO2 released during incineration. This proposes that the industry does not have to abandon plastic products, rather change the plastics used, maintaining the benefits of a plastic product whilst also reducing the environmental consequences of disposing in landfill or incinerating. Due to the requirement of the material to be completely sterile, there are lack of suitable alternatives for use in the medical industry. Such alternatives include glass and stainless steel, which, when compared to plastic, have much higher manufacturing costs. Thus, plastic allows the hospitals to reduce costs, thus reducing the overall cost of operation, which directly benefits both the government (in the UK case) and the patient in private healthcare countries. However, the economic advantage does not only benefit the hospitals, it also provides the large plastic producers such as ExxonMobil and DOW chemicals a much greater source of revenue. From their standpoint, single use plastics are beneficial because each use will mean the hospitals’ having to purchase more equipment. This further provides a justification for the use of single-use plastics, especially from a utilitarianism standpoint as it is in the best interest of the majority. From a utilitarianism standpoint, it is understandable that humans initially, rather ignorantly, adopted a nonchalant mindset when it came to disposing of plastic in to the oceans. If it is out of sight, it is surely out of mind, and therefore the action would be considered in the best interest of the majority. However, the current situation means it is now impossible to ignore the warning signs from our planet. Many disturbing images depicting beautiful marine life trapped in plastic packaging help to hit home the damage that ocean plastic disposal, currently estimated at 4.8-12.7 million tons per year, is doing. The sheer quantity of plastic being disposed by the medical industry means that, by 2050, there will be more pieces of plastic in the ocean than fish. It is common for fish to mistake plastic for food, ingest the plastic and suffer the physiological damage that the plastic can do to the nervous and respiratory system. With knowledge in hindsight of the damage that dumping plastics in the ocean can cause, the consequentialist standpoint proposed by utilitarianism would indeed lead to the proposal of a strong case against the widespread use of single use plastics. Furthermore, Kantist theory, which states an action can only be good if it is morally right, can provide additional justification for the cessation of plastic disposal in to the oceans. The action of dumping waste in the ocean is not in line with a moral norm and thus cannot be deemed morally right. Though the damage caused by plastics to our oceans is currently a larger issue, the effects on land cannot be ignored. The average plastic item takes around 450 years to decompose, with some items such as plastic bags taking 1000+ years. Currently, our primary solution is landfill sites. However, like dumping in the oceans, this is a method used by humans for our benefit only, as it is much easier to hide the waste than to actually deal with it. Unfortunately, this leads to environmental damage and contamination. Disposing of plastics in landfill sites goes against utilitarian ethics as the consequences have many detrimental effects on the local environment and wildlife. Sadly, as this approach is the easiest and cheapest it is the most favourable for the companies and governments that deal with waste disposal. Kant’s ethical theory suggests that, although using single use plastics in the medical industry can be seen as morally right by some because of its health and well-being implications. It can also be viewed as wrong if we consider the effects it has on the environment. Especially as there are alternative materials which could replace these plastics, regardless of the additional cost. However, medical items are not the only single use plastics coming out of the medical industry, as a study has shown hundreds of millions of disposable cups are used by hospitals around England every year. We are AGAINST the use of single use plastics in the medical industry. This is a really interesting read. I had never thought about the impact of single-use plastics used in the medical industry. There has been a lot of coverage on the use of single use plastics in terms of straws, crocker, cultery and packaging. However this is the first article I’ve read looking at it’s use in this area. Despite the environmental imapct of single use plastics I think that within the medical industry the economic and sterility issues are far more important so these arguments are given more weight. Personally I feel as though unlit there is an alternative that provides the same level of sterility at a similar cost it is not worth cutting them in this industry. I think that there are many many other areas where plastics can be cut first and many where there are existing alternatives. I therefore would think that this is probably further down on the list in priority. The article is interesting as it addresses the pros and cons of single use plastic in the medical industry, however whilst I do feel that single use plastics must be slowly eradicated in all areas, soft drinks companies, along with other food packaging have a responsibility to eradicate their use before the medical industry have to as their need is not of a necessity. I agree that there is a much greater consumption of single-use plastics in other areas that need alternative solutions. This article effectively highlights the issue of excessive consumption of plastic waste. As a species we are undeniably destroying the oceans and other ecosystems by not being careful with how we use and dispose of plastic. I agree that everyone must consciously cut down on their plastic use, just as companies should invest in alternatives to plastic items, such as food packaging which often is wholly unnecessary and only used once. However, it would be interesting to see how much of this total waste comes from the medical industry, specifically from infectious or hazardous plastics. I assume that this is a very small volume comparatively. At this moment in time, there does not seem to be a viable, cost-effective alternative which could replace hazardous single-use plastics such as gloves and syringes. Therefore, although single-use plastics need to be reduced in general, their importance in the medical industry ensures patient safety, convenience and cost-effectiveness. We would be better focused to encourage the reduction of non-essential single-use plastics as well as changing consumer behaviour regarding the use and disposal of these. May be educating people about the harm that the single-use plastic cause to the environment might be a good start to cut down their use and improper disposal. This is a really interesting topic that sheds more light on the larger debate about single use plastic in society at the moment. I think it’s clear to see why single use plastics have historically been the main choice for medical equipment due to their cost and availability. What I think we need to do is focus on developing equally cost effective solutions which have the same standards of preventing contamination but that are more ethical to dispose of or that can be recycled. Very good point, if all plastics are disposed and then processed correctly, the pollution that they cause would decrease. Stricter regulations and legislations regarding the disposal of single-use plastics could be implemented, as well. This is an interesting debate which needs to be bought to the public’s attention. While the medical sector may not be the largest contributor to plastic waste the value of this single use sector is very high compared to others. There are organisations making huge profits in the medical sector. Should we be lobbying them to invest more in research to develop plastics which can be more safely incinerated, or plastics which can be decontaminated sufficiently to be recycled? Should we consider whether legislation should be used to force their hand by means of levying a ‘research tax’. The health sector has huge buying power, should buyers in this sector be as focused on ethics as cost? Certainly lots of food for thought! Very nice article ! I personally believe that the medical industry should invest in other types of material. 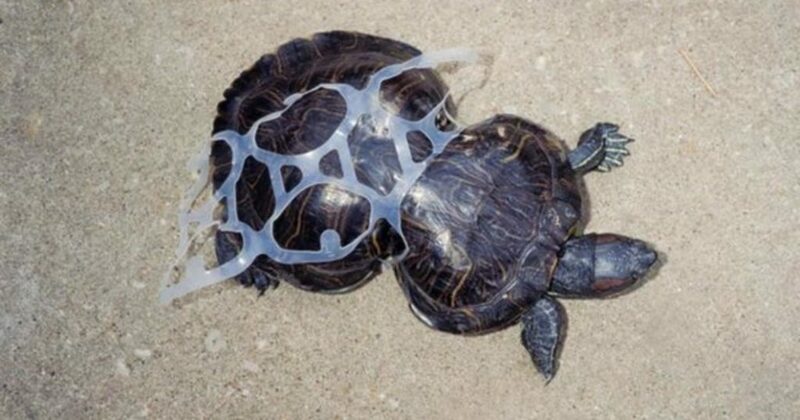 The use of plastics are degrading the marine life and if this continues the whole eco-system is likely to suffer. Moreover, plastic have a lot of embodied energy which is likely to cause global emissions. But, removing single use plastic from medical industry would take time, so are we ready to tackle this yet? Wow, what a great topic. I enjoyed reading your article. I have two comments, your main ethical theories seemed to be utilitarianism and Kant’s theory/deontology. how about care ethics and virtue ethics too? Also, is the issue how we dispose of single use medical plastics? If we burnt them using the heat in power generation would that work? Obviously, burning plastic produces carbon dioxide, so maybe the best approach is to look to increase use of glass and stainless steel where possible.